Safety is a priority on construction sites and should be at the forefront of every workers mind. Because of that, Pro-Visual Publishing, in conjunction with the Australian Construction Industry Forum and the Australian Constructors Association, has released the newest edition of their QLD Construction Site Safety Guide. This guide is a great go-to for keeping your construction site free from harm. This guide is written specifically for Queensland construction sites and is filled with the most valuable and current site safety information. Working at heights is common on construction sites; however, it can become very dangerous if the right safety precautions are not in place. This year’s guide explains how to create a Safe Work Method Statement (SWMS) in order to minimise the opportunity of a fall. The SWMS includes identifying possible hazards, assessing the risks associated with those hazards, implementing risk control measures and reviewing those risk control measures to ensure they are effective. Other topics covered in the guide include Site Housekeeping Regulations, Respirable Crystaline Silicia dust exposure and the WHSQ strategy to reduce the risk of disease, safety precautions for working in confined spaces, as well as methods for reducing the effects of Hand-Arm Vibration. 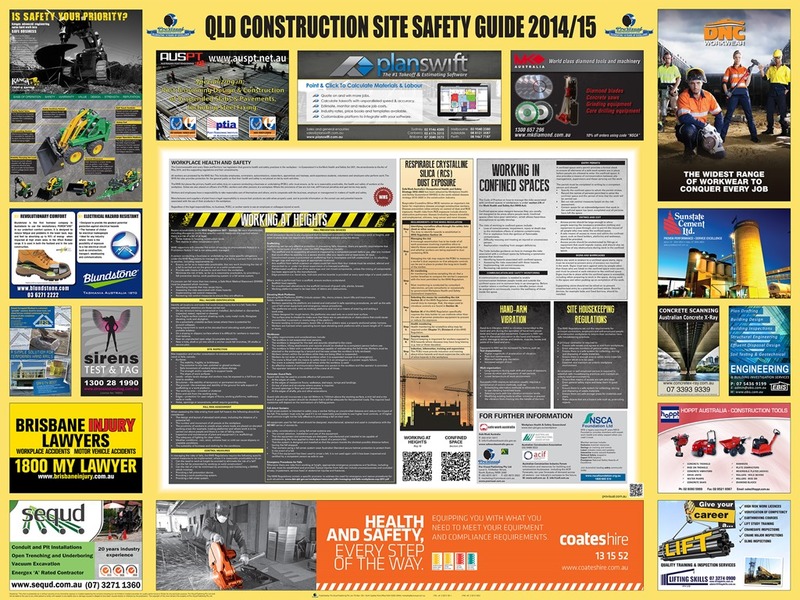 “I would like to thank all of the sponsors of the QLD Construction Site Safety Guide 2014/15. Their support has made it possible for the guide to be distributed free of charge”, said John Hutchings, CEO, Pro-Visual Publishing. Next post: Are you Managing Safety or Managing a Safety System?